Now entering its seventh year, Tech Debut is the leading media showcase at International CES. Tech Debut is the only top-tier media showcase that is both comprehensive and highly affordable. Show off your new innovations to top-tier media and investors at the 2017 Consumer Electronics Show (International CES®) conference. Tech Debut is the only top-tier media showcase that is both comprehensive and highly affordable. Show off your new innovations to top-tier media and investors at Tech Debut's media showcase at the 2017 Consumer Electronics Show (International CES) conference in Las Vegas. Market innovators get to display their new products in a boutique environment in front of top media, analysts, bloggers and investors. Here are a few of our favorite media outlets who have attended Tech Debut. See the full list here. Want to sponsor or exhibit at Tech Debut? Contact us! Tech Debut (is the only top-tier media showcase that is both comprehensive and highly affordable. Design by azntaiji and SocialRadius. 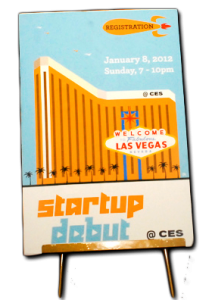 "International CES®" is a registered trademark of the Consumer Electronics Association. SocialRadius is not affiliated with or endorsed by the International CES or the Consumer Electronics Association.